Ten Years of Service to the Bottled Water Industry from the Appalachians to the Rockies! Section 1. The name of the Association shall be the Central States Bottled Water Association. The letters CSBWA may serve in lieu of the full name. Section 2. The principal office of the Association shall be in the City and State designated by the Board of Directors. The Association may have such other offices as may from time to time be designated by the Board of Directors. Section 3. The Association is organized for the benefit of the Bottled Water Industry in the states of Ohio, Michigan, Indiana, Kentucky, Illinois, Wisconsin, Iowa, Missouri, Nebraska, Kansas, Oklahoma, and surrounding states. To serve as an educational, legislative, and informational support to its members based in the Central States Region. To obey all government labeling guidelines and requirements in order to accurately inform the public as to the water’s source, purity, authenticity, and bottling processes. To ensure that all bottled water sold in the Association’s region meets or exceeds all local, state, and federal standards. To diligently pursue, through public legislation and regulatory bodies, those legislative and regulatory actions which will affect all types of bottled water and to work closely with all government agencies whose regulations affect the bottled water industry and standards of quality and/or purity of bottled water. 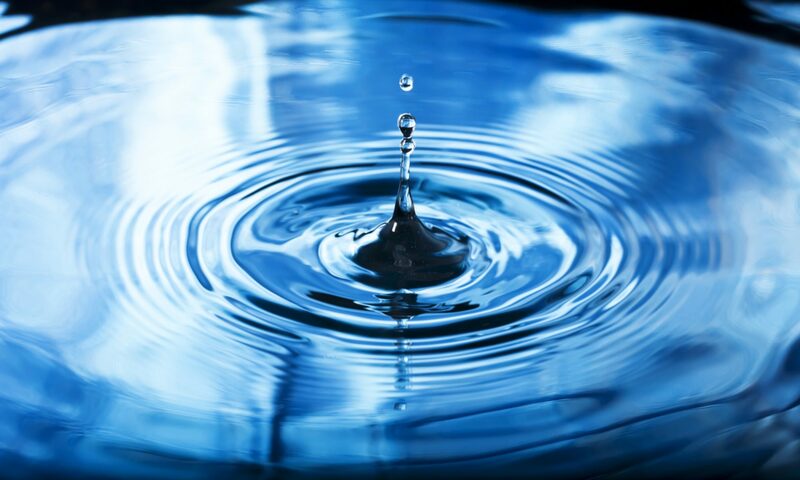 To assist its members in obtaining regulatory information regarding the bottled water industry. To promote through education, government relations, and public relations, the use of bottled water as an alternative source of drinking water and an alternative source to other beverages. To establish a continuing education program and technical assistance to industry members, their officers and employees in quality control and production of the highest possible quality of bottled water. To facilitate the exchange of technical, scientific, and government information among industry members. To cooperate and discuss mutual interests with other industries, organizations, associations, and administrative bodies or agencies. To update members on the current state of the art and materials from the point-of-use industry as it relates to bottled water. Section I. Eligibility for Membership. Any person, partnership, corporation, or other entity, engaged in the bottling of water, distribution, supplying products or services to those who do, shall be eligible for membership in this Association. Bottler Membership. Bottler membership shall be defined as companies, which bottle or package water and who meet the criteria hereinafter established. Companies meeting these criteria shall be required to obtain a Bottler Membership. Affiliate Membership. Affiliate shall be defined as individuals or entities interested in, but not actually engaged in bottling or providing services to the bottled water industry. Supplier Membership. Supplier Membership shall be defined as company who does not bottle or distribute bottled water but who supplies materials and/or services to the bottled water industry. Distributor Membership. Distributor Membership shall be defined as companies which do not bottle water, but distributes bottled water. The Board of Directors may from time to time establish additional categories of membership. Section 3. Qualification for Membership. An applicant for membership shall submit in writing to the Association headquarters office such forms as may be prescribed by the Board of Directors to enable the Association to determine if the applicant meets the requirements for membership. Application for Distributor Membership shall designate the names of all bottlers who supply water to the applicant. Effective Date. Memberships shall become effective upon receipt of the application and correct membership dues. Notification shall be made to the Board of Directors of all new members on a regular basis. The Board of Directors may establish other criteria as part of the membership or renewal application by a vote of two-thirds of the Board of Directors. Each member in good standing is limited to one vote. and shall designate to the association headquarters the identity of its principal voting delegate and an alternate, either of whom shall be eligible to vote on behalf of the member firm. Membership in the Association may terminate by voluntary withdrawal as here on provided, or otherwise in accordance with these Bylaws. Upon termination, all rights, privileges, and interests of a member in the Association shall cease. Any member may, by giving written notice to the President’s office, withdraw from membership. Withdrawal shall be effective upon fulfillment of all obligations and financial liabilities to CSBWA up to the date of withdrawal. Any member may be suspended or expelled from membership for violation of the Bylaws or any other lawful rule or requirement duly adopted by the Association membership or Board of Directors, including, but not limited to, failure to pay dues or special assessments, or for any other conduct prejudicial to the interests of the Association. Suspension or expulsion shall be by two-thirds vote of the entire voting membership of the Board of Directors, provided that the Association shall have sent a statement of the charges by certified mail to the last recorded address of the member at least twenty (20) days before the final action is taken. The member shall have the opportunity to appear in person and/or be represented by counsel and to present any defense for such charges before final action is taken. All privileges of membership shall terminate upon final suspension or expulsion of a member, and the Association shall not be liable to said member for refund or repayment or any portion of the membership dues or assessments. The Board or Directors, by similar vote, may rescind any such action and reinstate the member. Upon failure of a member to pay dues or assessments for a period of thirty (30) days after becoming due, the member shall be noticed with a Second Notice. Final notice shall be sent by certified mail sixty (60) days after original payment was due, and, unless payment is received with thirty (30) days of said Final Notice, membership shall terminate automatically. As a condition of continued Bottler Membership, and at the request of the Board of Directors, but not more than once a year, the bottler member must provide certification the minimum standard for all regulatory agencies. This certification shall be in form approved by the Board of Directors. Section 1. Membership Dues. Commencing on the Fiscal year immediately following the year of a member’s initiation, each member shall pay annual dues by January 31 of an amount set by the board of directors at the association’s annual meeting. When a CSBWA Bottler Member, or the parent company of a CSBWA Bottler Member, is any corporation, joint venture, bottling company or other entity that owns a Bottler Member, acquires or merges with or purchases a controlling interest in another bottled water company, all bottled water companies, plants, and locations within the resulting entity shall be considered as one Bottler member. Section 2. Dual Memberships. If a Bottler Member owns or operates a company which fits the definition of a Supplier Member, or vice versa, membership in both categories must be held, and dues paid separately by both entities. Section 3. Other Member Dues. Dues for other classes of membership shall be set by the Board of Directors and may be revised and changed periodically. Section 4. Assessments. Assessments may be levied against members if the Association by a majority vote at any meeting of the members, or by a majority vote of the membership by mail ballot or by a two-thirds vote of the Board of Directors at a regular or special meeting. Section 5. Liability. The liability of members for dues or assessments may be enforced by legal action and by forfeiture of membership at the direction of the Board of Directors. The liability of any member in the Association is limited to dues, special assessments, and contractual obligations such as for exhibit space or other agreements that may be entered into by the Association and the member. Section 1. Annual Meeting. The Annual Meeting of the Association shall be held at a time and place as the Board of Directors shall determine. Written notice shall be given to the members thirty (30) days prior to such meeting. Section 2. Special Meetings. Special meetings of the Association may be called by the President or the Board of Directors and shall be called by the President upon request of twenty per cent (20%) of the membership in good standing. Such meetings shall be called with forty five (45) days of such a request. Notice of special meetings, stating place, date, hour, and general purpose, shall be sent to each voting member at least fifteen (15) prior to such meeting. Section 3. Quorum. At any meeting of the association, twenty five percent (25%) of the voting members in good standing shall constitute a quorum. For any and all purposes, including the election of officers and directors, a majority vote of those present shall be required. The presiding officer may adjourn the meeting from time to time until a quorum is present. Section 1. General. The officers of the Association shall be President, First Vice President, Second Vice President, and Secretary-Treasurer. Such officers shall be elected biennually by the members of the association. If the First Vice-President represents a member located East of the Mississippi River, then the Second Vice-President shall represent a member located West of the Mississippi River. If he First Vice-President represents a member located West of the Mississippi River, then the Second Vice-President shall represent a member locate East of the Mississippi River. The membership may, by a two thirds vote, create other offices as they deem necessary, and prescribe qualifications, terms, duties, and powers of such offices created. Any officer may be removed by a two thirds vote of the total number of directors. All officers, with the exception of the Secretary-Treasurer, shall serve without remuneration, except for expenses incurred on behalf of the Association, which must be approved by the Board of Directors. Section 2. President. The President shall be the principal executive officer of the Association, shall preside at all meetings of the Association and of the Executive Committee, and shall be a member ex-officio with voting privileges of all committees with the exception of the nominating committee. He/She shall be the chief executive and operating officer of the Association, with responsibility for the management and direction of all operations, programs, activities, and affairs of the association, including the employment and termination of employment and determination of compensation staff and supporting personnel within the framework of policies and programs as generally determined by the Board of Directors. She/He shall have others as prescribed by the Board of Directors from time to time. She/He shall, at the annual meeting of the Association and at other times that he/she deems necessary, communicate to the Association and/or the Board of Directors such matters and make some suggestions may in his/her opinion, serve to promote the welfare and increase the usefulness of the Association and shall perform other duties incident to the office of President or as prescribed by the Board of Directors. Standing committees shall be at the discretion of the President who selects the Committee Chair. The Chair selects the Committee members. These Committees may include Government Relations, Education, Convention, Membership, Communications and Publications, Technical and Supplier. Section 3. First Vice-President or Second Vice-President: The First Vice President, shall, at the request of the President, or, in the absence or disability of the President and direction of the Board of Directors, perform all duties of the President with all prescribed powers. In the event the office of the President is vacated, the First Vice President shall become President of the Association for the remainder of the term, the Second Vice-President shall become the First Vice-President, and a new Second Vice-President shall be elected as directed by the Board of Directors. Section 4. Secretary-Treasurer (Secretarial Duties). The Secretary-Treasurer shall give all notices required herein and keep the minutes of all meetings of the Board of Directors, Executive Committee, and Association. The Secretary-Treasurer shall keep such records as may be required by law or the Association. Section 5. Secretary-treasurer (Treasury Duties). The Secretary-Treasurer shall keep account of all monies received and expended for the use of the association, keep such financial accounts and records as may be required by the Board of Directors, and shall preserve reports of the finances of the Association at each Annual Meeting of the membership, board meetings, and at other times as the Board of Directors may direct. The Secretary-Treasurer shall see that a certified accounting firm prepares regular financial statements, and that an annual report be rendered. Section 1. Purpose. The Board of Directors shall have supervision, control, and direction of the affairs of the Association, shall determine its policies or changes therein within the limits of the Bylaws, shall actively prosecute its purpose and have discretion in the disbursement of its funds. It may adopt such rules and regulations for the conduct of its business as shall be deemed advisable, and may in the execution of the powers granted, appoint such agents as it may deem necessary. Section 2. Eligibility. The principal or alternate delegate of any Bottler, Supplier, or Distributor member in good standing shall be eligible for membership on the Board of Directors and shall have full voting rights thereon. There may be no more than three Supplier Members serving on the Board of Directors at the same time, and no more than one individual from a Member Company serving on the board at one time. If a member leaves the Association, directorship of said member’s principal or alternate delegate will terminate forthwith, with the unexpired term being filled as directed herein. Members of the Board of Directors serve without compensation. Section 3. Composition. The Board of Directors shall consist of seven (7) members, elected as directed herein. Section 4. Term. Directors (except those appointed to fill unexpired terms) shall be elected for a two year term. Three directors shall be elected in odd-numbered years; four directors shall be elected in even numbered years. Section 5. Removal. A director may be removed from office by the affirmative vote of two thirds of the voting members of the Association. Section 6. Meetings. The Board shall meet at the time and place of the Annual Meeting and shall meet at least once in each six month period. Special Meetings may be called by the President, or upon the demand of a majority of the Directors. Notice of all meetings shall be sent to each Director at least fifteen (15) days in advance of said meeting. Section 7. Quorum. Four directors shall constitute a quorum. Section 8. Vacancies. Any vacancies that may occur on the Board of Directors by reason of death, resignation, or otherwise, may be filled by the President with the approval of the Executive Committee. Section 1. Standing and Special. The President may appoint each standing and special committee as may be necessary or required in the operation and conduct of business. Section 2. Executive Committee. There shall be an Executive Committee composed of President, First Vice President, Second Vice President, and Secretary-Treasurer. They may exercise the powers of the Board of Directors when the Board is not in session, reporting to the Board at its succeeding meeting any action taken. A majority of the members shall constitute a quorum. Section 3. Nominating Committee. The Chairman of the Nominating Committee shall be the immediate Past President, if available. The committee shall be at least the entire Executive Committee. The Nominating Committee shall prepare and recommend to the Board of Directors its slate of officers thirty (30) days prior to the annual meeting each year. Such slate shall be submitted to the membership with notice of the annual meeting or earlier in an associated publication. Whenever, in the judgment of the Board of Directors, any question shall arise which it believes should be put to a vote of the membership, and when it deems it inexpedient to call a Special Meeting, the matter may be submitted to the membership in writing my mail for vote and discussion. Each member will have thirty (30) days to return the ballot from the mailing date. Action taken by mail vote shall require the majority of the members voting during a thirty (30) day period. The association shall have a seal or logo, which the Board of Governors shall approve. Only members in good standing may use the seal in manner approved by the Board of Directors. The association shall indemnify each officer, board member, committee member, regular employee of the association and other association members acting in an official capacity on behalf of the association against all expenses and liabilities actual and reasonable incurred by him/her in connection with or arising out of his/her activities performed on behalf of the association. Such expenses and liabilities shall include, but not be limited to, judgments, court costs and attorneys fees, provided, however, that such officer, committee member, regular employee, or other member has acted in good faith and in a manner he/she reasonably believed to be lawful and in the best interests of the association. The association shall use its funds only to accomplish the objectives and purposes specified in the Bylaws, and no part of said funds shall inure, or be distributed to, the members of the association except for approved expenditures. On dissolution of the association, any funds remaining shall be distributed to one or more regularly, original, and qualified charitable, educational, scientific, or philanthropic organizations to be selected by the Board of Directors. By approval of two thirds of the members through mail votes as provided elsewhere herein.